Motorcycle insurance costs are an important consideration for any bike buyer. That's why MCN is highlighting some of the best cheap-to-insure motorcycles out there. This time it's the Kawasaki Ninja 250R. Don't discount the Kawasaki Ninja 250R as just another learner bike, aimed at those starting out with a 33bhp restriction. It's a fun little bike in its own right, a fantastic and stylish (especially in Ninja green) city commuter and a bargain to run and insure. The little Kwak's is precise and efficient. The power is spread evenly across the whole rev range and despite only making 33bhp it's good for 110mph and enough pace to keep you ahead of traffic in town. It revs to 14,000rpm and you have to use all of those to get it moving, but that's part of the fun. At just 154kg, the Kawasaki Ninja 250R is a supremely nimble little machine, making town and B-road work a joy. Fit some stickier tyres if you want to make use of it properly though. 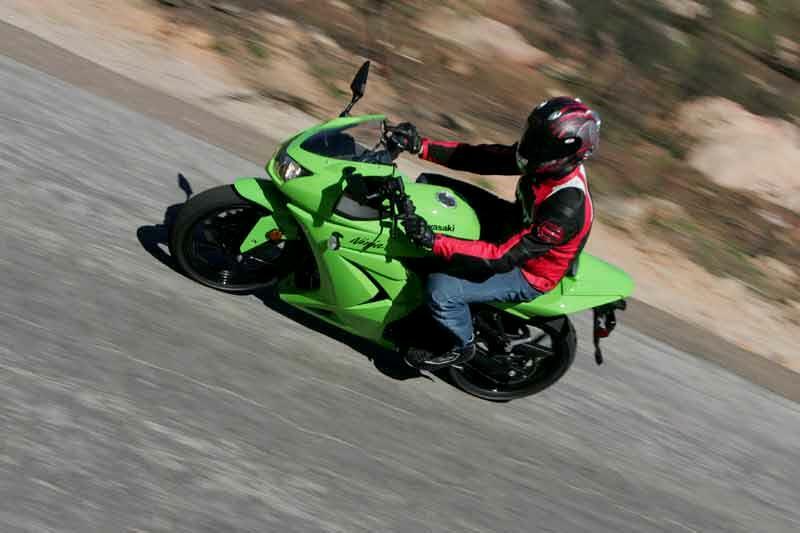 Overall the Kawasaki Ninja 250R is well-built, reliable, fun and desirable. Coming in at just under 33bhp, it's a great introduction to biking for those on a restricted A2 license and a sensible choice for commuting or city use, too. 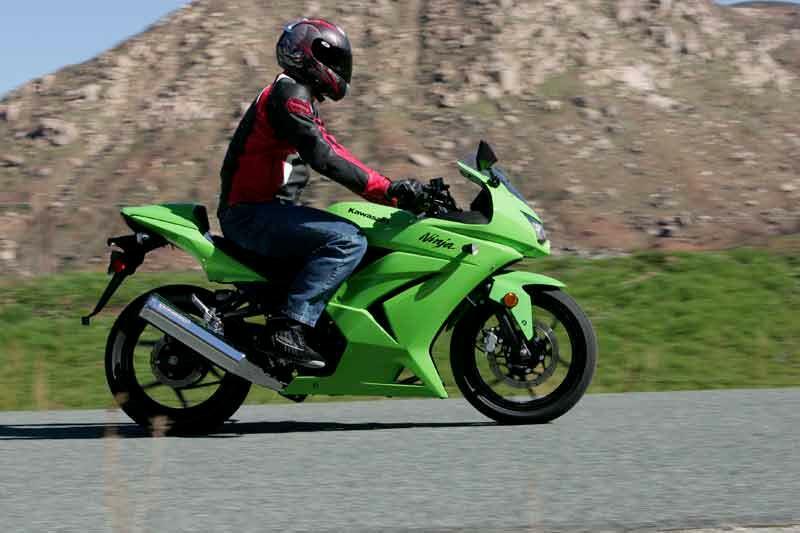 Thinking of buying a Kawasaki Ninja 250R? Get motorcycle insurance quotes from lots of providers in one place with MCN Compare.